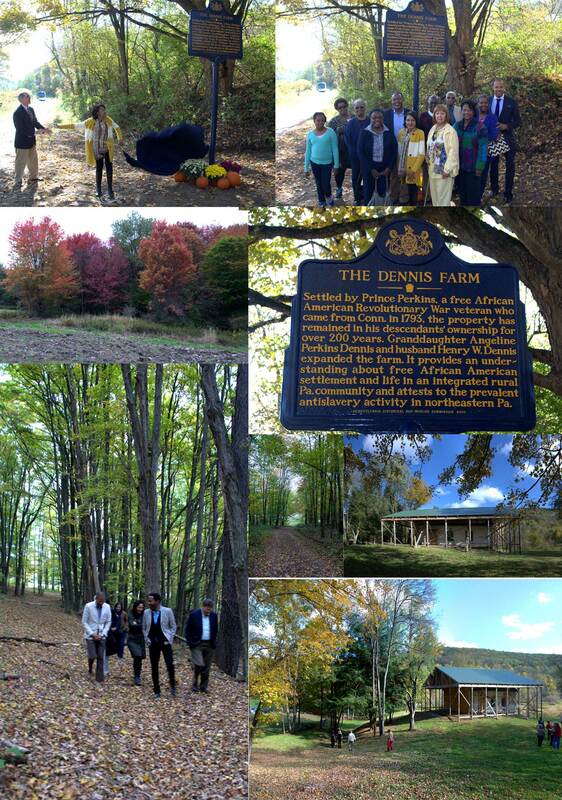 With the generous funding of a Chairman’s Award from the National Endowment for the Humanities (NEH), the Dennis Farm Charitable Land Trust (DFCLT) held its third annual symposium on October 6-7, 2015. The symposium celebrated the 200th birthday of Henry W. Dennis (1815-1882) the Vermont-born, free African American man from whom the 153-acre farm takes its name. Dennis moved to Pennsylvania with his Massachusetts-born parents in 1818 and in 1851 married Angeline Perkins, granddaughter of the free African American family who first settled the farm. When his wife inherited the property from her family in 1858, Dennis purchased 100 additional acres. He and his wife passed the property to their children and descendants, two of whom founded DFCLT in 2001. The symposium included an interpretive planning dinner meeting for ten invited scholars, planners, designers and historic preservationists at a local hotel and a program and separately funded luncheon, open to the public, at nearby Keystone College. 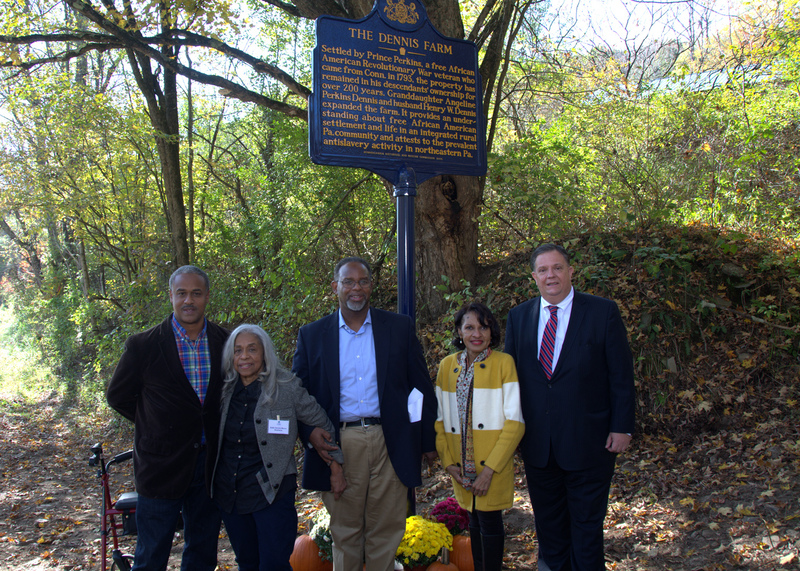 The highlight of the symposium was the unveiling and dedication ceremony, at the farm, of the Commonwealth of Pennsylvania Historical and Museum Commission’s (PHMC) official Dennis Farm historical marker. The event ended with guided tours of the farm, given by docents from Keystone College.